Promega’s 360 Leadership Workshop qualifies for 29 CPE continuing education credits with the Washington State Board of Accountancy. As many Washington State CPA’s look to fulfill their continuing education requirements, we are confident our professional workshop will benefit the CPA community as it focuses on effective business, management, leadership and personal skills. This balanced 360 approach helps leader’s discover and fulfill their highest potential, both professionally and personally. Please contact us for details on how to receive your CEUs. Promega’s 360 Leadership Workshop has been approved for 22 credit hours toward PHR, SPHR and GPHR recertification through the HR Certification Institute. As many Human Resources Professionals look to fulfill their continuing education requirements, we are confident our professional workshop will benefit the HR community as it focuses on effective business, management, leadership and personal skills. This balanced 360 approach helps leader’s discover and fulfill their highest potential, both professionally and personally. 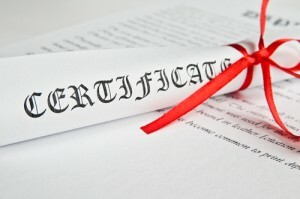 Please contact us for details on how to receive your recertification credits.